Do you own your own domain name (maybe your last_name.org or business.com)? Are you tired of paying $4.95 a month or $30 a year to have email service through your domain name registrar or web host? If you answered yes to these two of these questions, this article is for you! 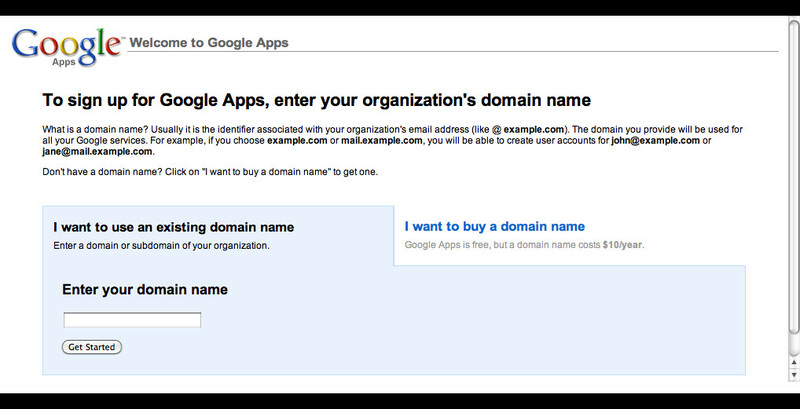 This article shows you how to set-up free email for your own personal or business domain name using Google Apps. It provides a step-by-step tutorial for free email on your own domain name using Google’s industry-leading Google Mail (Gmail) service. Gmail is a free, advertising-supported mail service offered by Google. It can be accessed through a web browser, POP3 and IMAP (POP3 and IMAP are what the software on your computer uses to connect with mail services). What makes it unique in the domain name world is that you can use Google Apps (Gmail, Google Calendar, Google Sites and Google Docs) with your own domain name and offer your family/friends/business an industry-leading email service with no cost, high up-time/availability, great spam-protection, tight security and constant upgrades. Each Gmail account offers more than 7 GB of free storage per mailbox for messages and attachments, and they’re adding more space all the time. That all sounds great, but what are the downsides? Advertisements, of course. The ads display on the side panel of your email inbox when viewed using a web browser (POP3 or IMAP access does not include ads). Currently, there are no ads in Calendar, Sites or Docs. There is also a 50 mailbox limit, although you can set up what-appears-to-be unlimited aliases per mailbox. Also, if you need more than 7GB of email storage per mailbox, you can upgrade to Google Apps for Business for $50 per user per year and have no ads, 25 GB of storage per mailbox, unlimited mailboxes, and much more. But if you’re downloading the mail to your computer’s software program and deleting it from the server, you’ll never have an issue with 7GB mailbox storage limit. Visit http://www.google.com/apps/intl/en/group/index.html in your web browser. 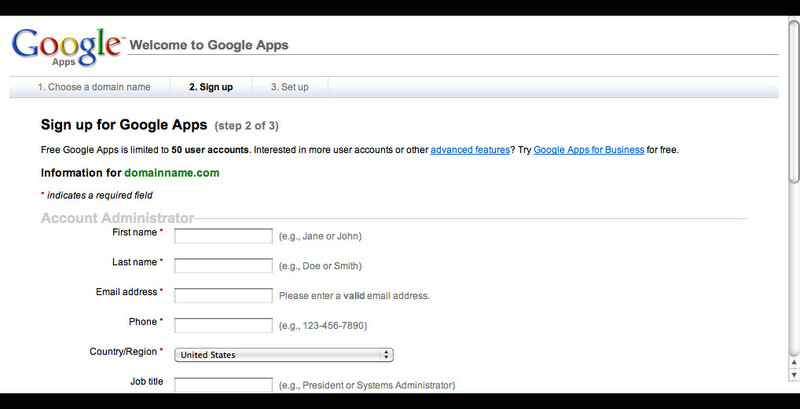 Make sure you’re signed out of a personal Gmail account, if applicable. You have the option to purchase a domain name through Google for $10 per year, although I prefer to use the registrar when I have all my other domain names. This provides the added benefit of keeping my domain names separate from my services (sort of a “separation of church and state,” if you will), so if I decide to change services I can easily do so using my registrar. I downloaded a file (the “Upload an HTML file to your server” option). I then uploaded the file to the root of my website, and clicked the “Verify” button. Although you can sign into your account at this point, no email is actually being delivered to your new account until you tell email to go there. Step 8 tells you how to do that. After the MX records are properly set-up at your registrar, click on “I have completed these steps” to have Google check your MX records and the process is complete. 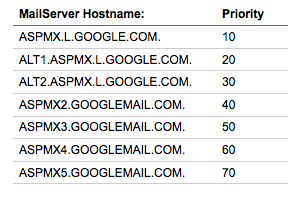 Is there any way to get a free Gmail service for my domain names now? If not, what are the free alternatives available now? Sorry, I need to update this article. Any updates on this yet? 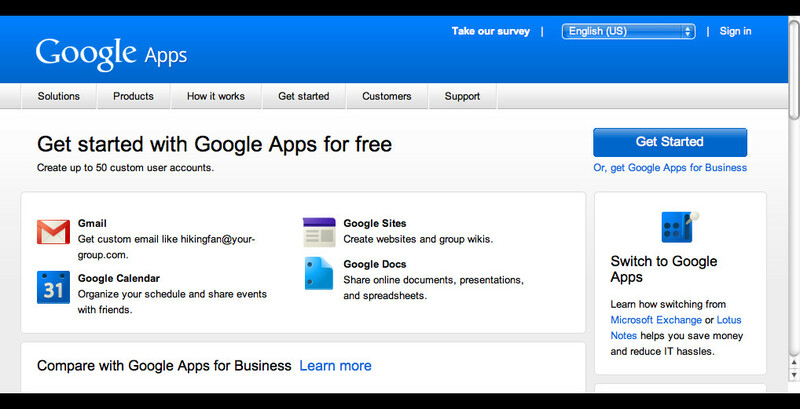 Google is still not offering Google Apps Free Edition. They likely will never offer it again. Sorry. Hi Michael, this was very helpful. I wasn’t aware that Google offered this for free. Is there a way to downgrade my account to the free service? I’m paying 5.00 per user per month. very useful post. thank you Aishwar. OMG this is sooooo useful! Thanks for posting, Aishwar! 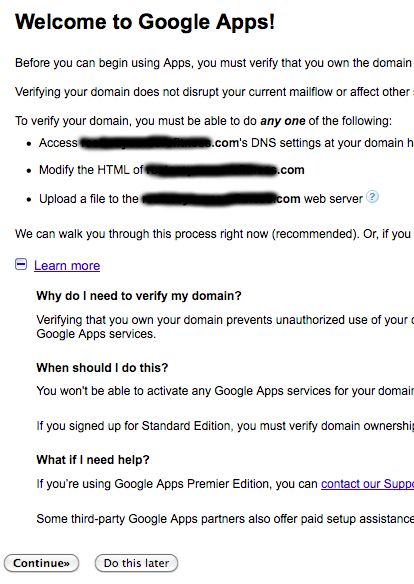 I’m going to set up Google Apps for my domain name today and stop paying my hosting provider!